Dispute resolution is the process of resolving disputes between parties, including litigation, arbitration, collaborative law, mediation, conciliation, negotiation and facilitation. Alternative dispute resolution (ADR) - the use of extrajudicial processes to resolve conflicts - has experienced steadily increasing acceptance and utilisation due to its perceived flexibility, costs below those of traditional litigation, and speedy resolution of disputes, among other advantages. In this Round Table feature, Corporate INTL discusses the main institutions involved in dispute resolution, the key complexities, and other important issues with experts in the field from around the world. Brown Rudnick is highly experienced and effective in handling large, complex disputes, often cross-border, including in Russia and CIS countries and many offshore and ‘freezone’ jurisdictions. The firm has a reputation for handling the “difficult” cases, and its team has been involved in a number of high profile matters, including matters arising from the collapse of Lehman, the Irish Banking crisis, and the Madoff and Stanford scandals. 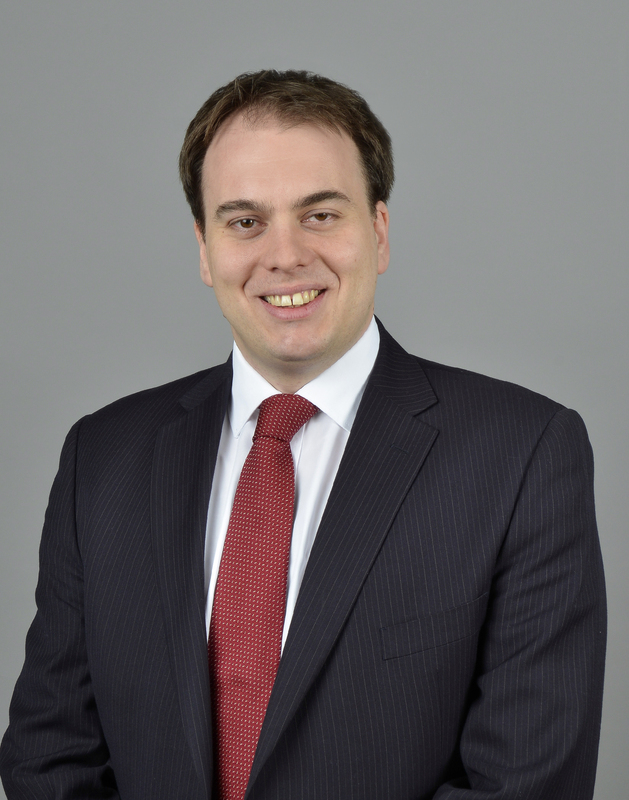 As a partner in the International Disputes team Christian Toms specialises in complex and high-value commercial banking/investment, contract and tort disputes as well as company, shareholders and joint venture/partnership disputes. He also has experience in confidential applications for privacy injunctions, and competition law related matters. He has acted for and against investment banks, hedge funds, pension funds and other investors, as well as individuals, technology, construction and pharmaceutical companies. L.C. Rodrigo Abogados is an independent law firm that was established in Madrid on 23rd January 1974. The firm takes pride in offering creative, reliable and timely solutions. With that mind-set the firm has since then been providing legal assistance to a wide variety of Spanish and foreign businesses and individuals. 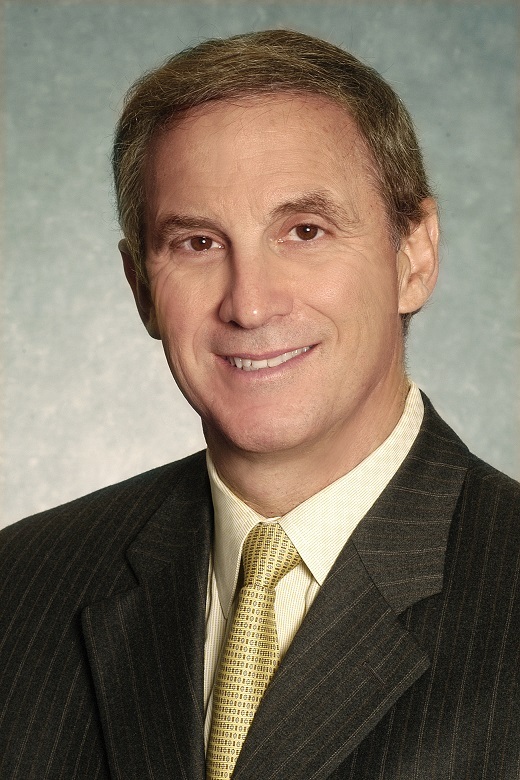 Jorge Angell is the senior partner of L.C. 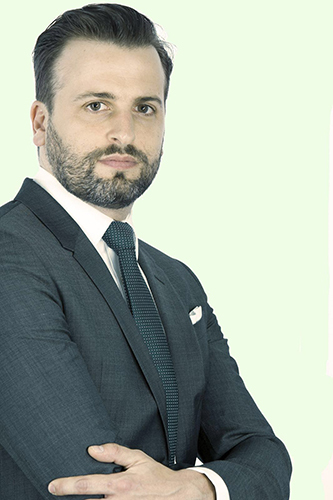 Rodrigo Abogados, specialised in corporate and commercial law, insurance and reinsurance law, private international law, litigation, arbitration, and mediation. He acts frequently as expert in Spanish law before foreign courts, especially English and US courts, and as arbitrator and party counsel in domestic and international arbitrations. Banack Resolutions Inc. uses a specialised dispute resolution process intended to achieve cost effective and timely resolution of disputes utilising all ADR processes. The firm has extensive experience in complex, multiple party matters including commercial agreements; construction; real estate; professional negligence; employment and financial services. Larry Banack has over 35 years’ experience as a commercial litigation lawyer at all levels of court: Certified as a Civil Litigation Specialist and a Chartered Arbitrator/Mediator handling in excess of 100 cases per year. He was an elected Governor of the Law Society of Upper Canada (16 years), and is now the Former Chair, Law Commission of Ontario and Law Foundation of Ontario and Governor Emeritus. Bufete Aguirre Soc. Civ. has been in the Bolivia commercial/business legal market for over 75 years. It renders services in all and related areas of business law. It has offices in the two main cities of Bolivia, La Paz and Santa Cruz. In the area of dispute resolution it handles administrative and civil cases either through its own Dispute Resolution Group headed by partner Milenka Saavedra or in more complex cases with the associated law firm of Peres & Mendoza. 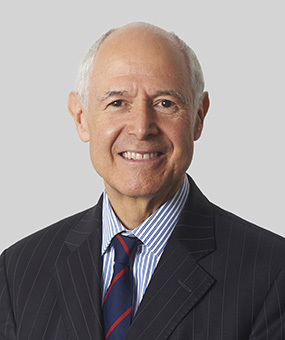 Fernando Aguirre B., partner, heads the firm’s Arbitration group. He is a registered arbitrator at the Centers for Conciliation and Arbitration of the National Chamber of Commerce and the National Chamber of Hydrocarbons; past listed arbitrator at ICSID and arbitrator in the list of the Kuala Lumpur Regional Arbitration Center. He is a member of the Latin American Group of the ICC and of the Latin America Arbitration Association. 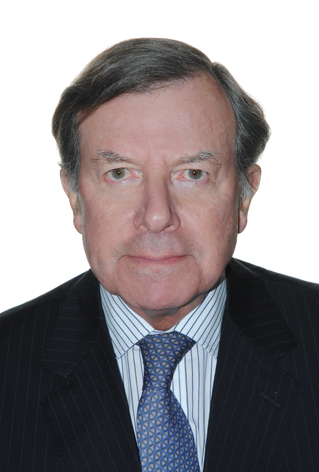 Robert Gaitskell practices as an independent, self-employed barrister (a Queen’s Counsel) , primarily sitting as an arbitrator and conducting mediations, dispute boards and expert determinations, all in the specialised field of engineering and construction disputes. 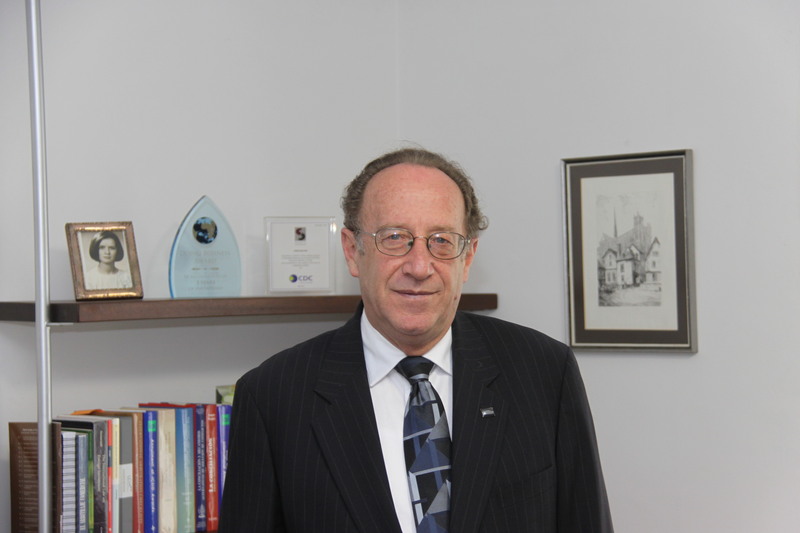 He is both a senior lawyer (QC) and a chartered engineer and hence has spent his whole professional life dealing with highly technical disputes. 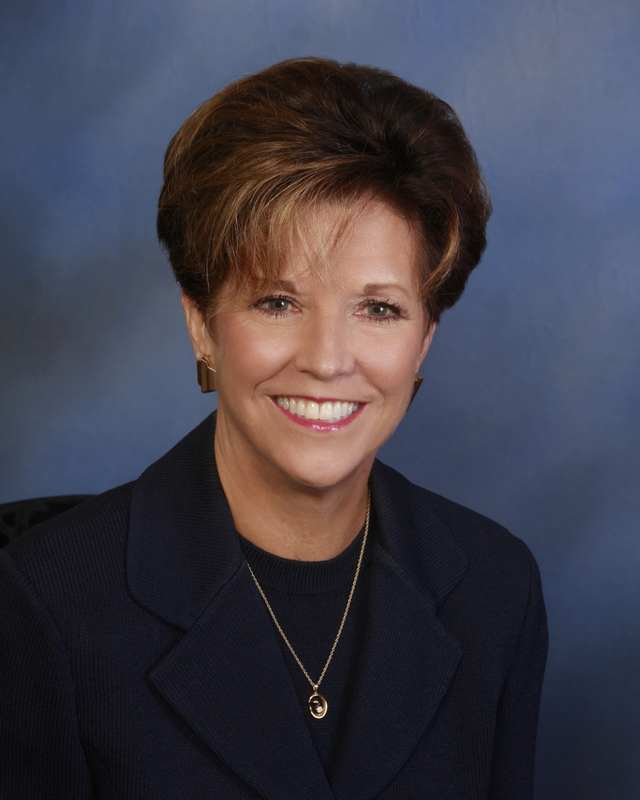 Tracy L. Allen established Global Resolutions, PLLC to offer dispute resolution services worldwide. Ms Allen serves as a neutral. This includes services as a facilitator, mediator and arbitrator. She teaches alternative dispute resolution (ADR) at three universities and throughout the world. In her services as a tax attorney and ADR professional, Ms Allen has worked extensively in the financial, business and conflict management industries. Victor Bonnin is the founder of VBArbitration, an arbitration boutique that opened in Madrid in 2016. Victor is a qualified in Spain, and in England and Wales. Additionally, he also holds a law degree in Swiss law and a master’s degree in business law from the University of Geneva. In 2016 he was listed in Who’s Who Future Arbitration Leaders list. In addition to currently sitting as arbitrator in cases in which he has been appointed by the ICC Court, the Madrid Court of Arbitration or the Spanish Court of Arbitration, he also acts as counsel and arbitral secretary. He has a vast experience in commercial, investment and sports arbitration in ad hoc and institutional arbitral proceedings (ICC, LCIA, ICSID, Madrid Court of Arbitration, AAA, CAS, among others). Please click the "Q&A buttons" on each photograph to add or remove the partner responses. What are the major dispute resolution institutions in your country? What do they do to oversee or assist firms that offer dispute resolution services? The High Courts of England and Wales are typically the forum for the high value, complex disputes we litigate. Given the types of disputes they hear and the sophistication of the parties involved, the English courts are very keen to ensure they provide an equally sophisticated service, and the Hon. Mr. Justice Blair recently spoke at our New York offices to an audience of NY litigators and lawyers about the 'Financial List'. This was launched in 2015 to hear and rule on complex banking cases such as derivatives and sovereign debt matters exceeding values of £50 million, as it is recognised that such cases often require a high degree of specialisation to decide. Accordingly the judges who hear such cases are particularly experienced in complex business cases. In addition, as the recent Brexit case has shown (i.e. the dispute over the UK Government's ability to trigger the Article 50 exit mechanism without a vote of Parliament) the English High court is also able to expedite the resolution of very urgent and/or important matters. The Brexit appeal has accordingly taken just 6 weeks to get from first issue to be heard by the Supreme Court, with judgment expected in the New Year 2017. In terms of arbitrations, the major institution in England is the London Court of International Arbitration (LCIA). Arbitration in England too has seen some interesting developments in that a recent ruling, thus far upheld, has determined third party funding costs are recoverable as a cost of arbitration. The Spanish court system is organized in different jurisdictional orders according to the nature of the matters at issue: civil, commercial, criminal, administrative, social (employment, etc.) and, finally, military. Civil courts have jurisdiction over all civil claims (contractual and non-contractual claims, family law issues, inheritance and, in general, any matter that is not attributed to the other jurisdictions), regardless of the amounts at stake. Commercial courts are specialised courts which form part of the civil legal system and have jurisdiction over insolvency proceedings and commercial claims relating to unfair competition, industrial property, intellectual property, advertising, amongst others matters. (i)	Courts of Peace (Juzgados de Paz). (ii)	First Instance Courts (Juzgados de Primera Instancia). (iii)	Commercial Courts (Juzgados de lo Mercantil). (iv)	Courts of Appeal (Audiencias Provinciales). (v)	High Courts of Justice (Tribunales Superiores de Justicia). Outside of the court system, the Constitutional Court (Tribunal Constitucional) is an independent court that adjudicates on constitutional matters. It is the highest interpreter of the Spanish Constitution. It has jurisdiction over the whole territory and its rulings are not subject to appeal. In Madrid the major institutions in charge of conducting commercial arbitrations are the Court of Arbitration of the Chamber of Commerce and Industry of Madrid (“La Corte de Arbitraje de la Cámara de Comercio e Industria de Madrid”), and the Civil and Commercial Arbitration Court (“La Corte Civil y Mercantil de Arbitraje” – CIMA). In Barcelona we have the Barcelona Arbitration Court (“Tribunal Arbitral de Barcelona” – TAB), and “The Barcelona Consolat de Mar” is the Conflict Resolution Centre of the Barcelona Official Chamber of Commerce, Industry and Navigation. We also can find, inter alia, the Galician Association of Arbitration and Mediation (ASGAME) in A Coruña (Galicia) or the Arbitration and Mediation Tribunal of the Balearic Islands (TAMIB) in Palma de Mallorca. While most of the Lawyers (Bar) associations have developed their own arbitrations courts, a few arbitration institutions have started to offer mediation services. What do they do to oversee or assist firms that offer dispute resolution services? In short, assist parties in appointing arbitrators, taking evidence, granting injunctions, and controlling awards. -	Arbitral institutions usually have modern and well-equipped facilities that contribute to conduct arbitrations in the more efficient way possible in terms of quality, time and cost. These institutions organize and promote congresses, lectures, symposiums, roundtables, among other activities that aim to improve and develop the knowledge and the use of ADR methods. Mediation institutions promote and manage mediation proceedings as well. -	Further to a 2011 amendment of the Spanish Arbitration Act (hereinafter “SAA”), arbitral institutions must watch over the arbitrator´s capacity, the transparency in their appointment and their independence through the entire arbitration (article 14.3 of the SAA). These institutions can be liable to damages should they breach these obligations. -	Arbitral institutions are also normally empowered by their rules to select arbitrators if the parties have so agreed or have said nothing in this regard. -	Regarding Online Dispute Resolution (ODR), the Court of Arbitration of the Chamber of Commerce and Industry of Madrid launched the first and only Spanish online arbitration system in 2010 (namely, TAO-OAM – Online Arbitration Management). This voluntary service allows arbitration to be managed and consulted online 24 hours a day, 7 days a week from any part of the world. Arbitration Place, ADR Chambers, ADR Ontario. Comprehensive services are available on demand including case intake, Registrar, hearing support including electronic/AV service/legal/Billing. Three main ones offer administrative services for conciliation and arbitration in the cities of La Paz, National Chamber of Commerce, Cochabamba, regional Chamber of Commerce and Santa Cruz, regional Chamber of Industry and Commerce. All provide full services counting with conciliation and arbitration and other related rules duly approved by the Ministry of Justice of Bolivia. Conciliators and Arbitrators are chosen or appointed from official lists. The Center of the National Chamber of Hydrocarbons with offices in Santa Cruz offers similar services focusing on dispute resolution for oil & gas and related controversies. The London Court of International Arbitration (LCIA) is the biggest London-based arbitration institution. However, the ICC (albeit it is Paris-based) has a bigger presence in London. The US has many independent providers of DR services, both individuals as well as groups of individuals. There are also larger organizations such as AAA and JAMS. They offer panels of persons, administrative support, locations for process, etc. The major arbitral institutions are the Madrid Court of Arbitration, the Spanish Court of Arbitration, the European Arbitration Association and the Civil and Mercantile Court of Arbitration, in Madrid, and the Barcelona Arbitral Tribunal in Barcelona. These institutions administer arbitration proceedings and also organize activities and courses to promote arbitration. Additionally, there is an important association: the Spanish Club of Arbitration, a not for profit association whose purpose is to promote and develop arbitration and mediation. Among its activities, it is worth mentioning the preparation of events, such as conferences to promote arbitration and educate on arbitration, and the maintenance of several tasks force on different aspects of arbitration. It has also developed best practices guidelines for arbitration and mediation, among others. What specific legal complexities are associated with commercial dispute resolution in your jurisdiction? As already mentioned, the English court regularly finds itself presiding over complex banking and investment cases arising from highly sophisticated transactions and derivative instruments, often cross-border in nature. In order to tackle the challenges such matters present, initiatives such as the ‘Financial List’ have been launched, with cases requiring a high degree of specialist knowledge being allocated those judges best equipped to deal with and to case-manage them. Disclosure is another area which often throws up challenges, not only in respect of cross-border issues but often simply the need to manage a cost-effective and proportionate process under which the parties will examine terabytes (and increasingly more) of electronic data. The English courts are accordingly seeking to tackle such challenges head-on and are increasingly accepting the versatility and benefits of technology to aid document review, as well as working to encourage English disclosure to evolve. While still relatively slow to be taken up by parties, English disclosure is now far more flexible, with a ‘menu’ of options available aside from just ‘old style’ Standard disclosure. Naturally the most appropriate choice will entirely depend on the dispute and the level of likely reliance on contemporaneous documentation, but as the sheer volume of e-documents in clients’ storage increases exponentially, an increased flexibility in the court’s approach to disclosure is similarly likely to grow in importance, both in terms of time spent but also cost to clients. - All steps in the litigation process are pre-determined and subject to preclusive terms. Generally, these terms cannot be extended. This is particularly true in connection with the term to respond and file the defense which is too short. - There is no US-style discovery, although so-called preliminary enquiries to prepare the lawsuit are available. - All the documents supporting the claim or defence should be attached to the statement of claim or defence. Additional documents may only be filed in limited circumstances. - Public documents as defined by the law (e.g., documents executed by a notary public) carry more evidentiary weight than private documents. It follows that when doing business in Spain the importance of notarising contracts can never be underestimated. It should also be noted that certain transactions need to be notarised, such as those relating to real estate or certain powers of attorney. - Expert reports are very helpful and courts appreciate them. One should not neglect to file one. - Cross-examination of witnesses is possible, but courts are generally impatient and questions should be direct, brief and to the point. o The SAA is strongly influenced by the UNCITRAL Model Law of 1985, as amended. o Unless otherwise agreed by the parties, except if the dispute is to be resolved on equity, the sole arbitrator is required to be a jurist and, in case of a three-member panel, at least one must be a jurist. o The procedure may involve jurisdictional cooperation: the intervention of the courts is limited to certain support functions (inter alia, appointment of arbitrators, taking of evidence, interim measures notwithstanding the power of arbitrators to grant them and recognition and enforcement of awards). o The award must be issued within six months from the statement of defence, unless the parties agree to extend the term. The late issuance of the award does not constitute a ground for annulment, without prejudice to the arbitrators’ liability. o The award must be in written form and must always be reasoned, even if it is solely based on fairness/equity, unless the parties reach a settlement and agree that it be reflected in the form of an award. o The High Court of Justice is responsible for hearing actions for annulment of arbitral awards and for hearing the request for recognition of foreign awards. The action for annulment is not an appeal with review of the merits, but it is an action intended to verify if the essential principles of due process are complied with. An award may only be set aside on the specific grounds laid down in article 41 of SAA. o The parties will have to notarise the agreement reached if they need to enforce it in court. The Spanish notary public will previously have to verify the fulfilment of the requirements under the Civil and Commercial Mediation Act and that its content is not contrary to the law. This will add some red tape to the procedure. o The court’s intervention is limited to the enforcement of the mediation agreement, or to homologate (endorse) the agreement when it has been reached in the course of litigation. o The parties may agree whether all or some of the mediation sessions shall be conducted by electronic means. It should be noted also that mediations involving claims that do not exceed 600 euros shall be conducted by electronic means, except in cases when one of the parties is unable to access them (Article 24 of the Civil and Commercial Mediation Act). o Filing a mediation request does not interrupt the prescription or limitation of periods, but parties may opt for the suspension of the statute of limitations (Article 4 of the Civil and Commercial Mediation Act). In addition to or in the alternative Counsel must be alerted to the impact of Mandatory Mediation, the Arbitration Act, the Commercial Arbitration Act. The difference between domestic and international arbitrations. Those commonly found in commercial activities, in a very broad range of issues. The use of arbitration clauses in contracts has become more common, which has triggered increased specialization. The courts however, as in other jurisdictions, are not always prepared to deal with arbitration when it comes to authorize enforcement of awards or to resolve on other types of challenges filed before them. There are no particular complexities specific to the English jurisdiction. The Arbitration Act 1996 is reflective of the key provisions of the UNCITRAL model law, and the courts are generally non-interventionist, and broadly uphold arbitration clauses. Legal complexities in commercial disputes in the US are generally grounded in needs of lawyers to have judicial rulings on disputes regarding applicable law and interpretation of contracts. Often they do not want to negotiate a resolution until they have direction from the court. It is rare that such ruling would be “new” or set a path for groundbreaking law in the particular jurisdiction. This need for judicial “persuasion” discourages pre-litigation opportunities to negotiate disputes before retaining lawyers or incurring substantial legal bills. When we have to deal with complex commercial matters, it may happen that judges will not have enough time to devote to that case, or that do not have much experience in a particular sector. If we think about construction cases that involve hundreds of documents, judges may not have the proper instruments to manage them adequately Further, they may require short pleadings and brief oral presentations. If the dispute is so complex, one may feel frustrated by such limitations. Thus, arbitration is a good alternative, because the parties can choose arbitrators that are familiar with the type of case, they will usually have capabilities to better handle big files, will devote time, and you may have a faster final decision. Please provide a brief summary of any current issues or proceedings affecting dispute resolution in your jurisdiction. These can include legislative/regulatory changes, technological developments, best practice, etc. Technology is an area impacting more and more on dispute resolution. Not only are we gradually seeing an increase in the numbers of truly ‘paperless’ trials, but there is also a concerted move towards the formation of an ‘online court’ system geared to handling smaller value claims. For larger cases there is a growing debate about the extent to which e-discovery systems can and should be used to streamline disclosure processes, and 2016 saw two important rulings emanating from the English High Court expressly recognising and approving the use of so-called ‘predictive coding’, i.e. the use of algorithm and predictive review techniques to assist and augment human physical review of large numbers of electronic documents. Technology aside, the Courts continue to be cognisant of the need to improve the speed and efficiency of trial administration, and two High Court pilot schemes have been introduced with this very aim: the Shorter Trial scheme (aimed at making business litigation in the English courts quicker by ensuring a case is administered by the same judge from beginning to end, and reaching trial within approximately 10 months with a maximum length of trial of four days. ); and the Flexible Trial scheme (allowing for more flexible case management resulting in a simplified and speedier trial than is currently provided for). Finally, increasing judicial involvement in active cost management remains a hot topic, with an increasing focus, for claims of all levels, on practitioners filing and maintaining case budgets throughout the course of proceedings. On 5th October 2015, the latest amendment of the Civil Procedure Act (hereinafter “CPA”) was approved and established that, with the aim to promote the use of new information and communication technologies in the field of justice, as from 1st January 2016, both legal professionals and judicial bodies shall file submissions and documents and carry out procedural communications by telematic systems. The implementation of the system encountered a number of technical difficulties which have been almost sorted out. Nevertheless, as previously noted, arbitration and mediation institutions offer the possibility to conduct the process by electronic means since 2010 and 2012, respectively. With regard to the statute of limitation, the general time limit for contractual claims envisaged in Article 1964.2 of the Civil Code has been recently reduced from 15 years to five years. The term will start running from the moment the creditor may enforce the obligation. Furthermore, in relation to the continuing obligations of doing or refraining from doing something, the term shall start running from the moment these obligations are breached. This amendment entered into force the 7th October 2015. Contractual obligations dating from 7th October 2005 until 6th October 2015 shall be governed by the previous rule (15 years), with a limit of 5 years from the 7th October 2015. Liability of unregulated, uninsured mediators/arbitrators. Bolivia has enacted a new Conciliation and Arbitration Law in June of 2015, as a consequence of which administrative centers count with new rules. It is yet premature to evaluate this reform though centers have generally evaluated it positively with respect to commercial arbitration. One very grey area which persists is related to investment arbitration. Based on constitutional and political considerations Bolivia was the first country in the globe to denounce the ICSID Washington Convention and thereafter the twenty one Bilateral Investment Treaties to which it was a party. The new law contains an ambiguous chapter on investment disputes as an attempt to fill out the vacuum left by such policy but the intent does not fulfill the expectations of new foreign investments. This is also connected with the lack of a regional center for investments disputes which was proposed at the level of the South American states (UNASUR). Many years have passed of unsuccessful negotiations to agree on an international treaty to create such Center. Confidentiality is always a concern. In the US, some states have statutes that provide for process confidentiality, some states have court rules, and some states have both. The general scope of confidentiality is similar state to state but it can vary significantly in the case law interpretations state to state. Also, in arbitration matters, lack of proper disclosure by the neutral can be a cause of overturning an arbitral Award. As indicated, courts lack of adequate instruments to handle the number of cases they have. More judges with more and better computing facilities are required. Thus, getting a final decision takes a lot of time. Spanish governments have tried to modernize justice by adding new computing systems, hiring more judges and support staff. However, this seems not to be enough, and again, this is the reason why arbitration or mediation should be seriously considered by companies. What challenges are commonly encountered when dealing with cross-border disputes? Challenges inevitably come when legal disputes, or specific elements, involve multiple jurisdictions. For example, if there are a number of agreements in issue each providing for their own governing law and potential competent jurisdiction, the parties and the chosen Court or tribunal often needs to pick their way through a minefield not only to determine the issues requiring resolution, but also which jurisdiction(s) is or may be the most appropriate and whether and which specific ‘foreign’ legal principles might need to be applied on certain issues falling to be determined. Matters become potentially even further complicated where there are assets and/or security interests in yet other jurisdictions, or where it is necessary to trace lost assets through various hands. There are then sometimes issues of public policy (of various jurisdictions) to be taken account of, as well as in some instances government action that might pose an obstacle to certain aspects of the proceedings. As might be expected, the gathering of evidence, specifically documentary disclosure, can sometimes present a challenge in that there can be specific bars on material leaving certain jurisdictions, even for the purposes of lawful proceedings elsewhere. In all such matters it is therefore crucial that authoritative, local expert evidence is sourced to assist the parties and the Court, not just in terms of local procedure but also in terms of establishing the specific legal principles that the Court may need to apply when determining certain aspects of the case being heard. Concerning cross-border contractual disputes, the starting point is checking whether there is a proper and valid choice of law and dispute resolution method, be it the courts and/or arbitration, in the relevant contract. Many difficulties may be avoided if this concern is adequately taken care of. Besides this obvious point we can encounter difficulties when serving the defendant, providing translations, enforcing interim measures, taking evidence abroad or enforcing the relevant judgment. Concerning cross-border non-contractual (tort) disputes, there can be issues related to the applicable law and jurisdiction, and remaining points mentioned above. An understanding and cultural acceptance of the actual role of ADR in the resolution of commercial disputes. The cost consequences of success/failure is different in various jurisdictions. The difference between domestic and international arbitrations. Apart from the rather negative environment in connection with investment arbitration, when dealing with cross-border disputes a substantial challenge is the choice of the place of arbitration given the numerous factors to take into account. Such laws can also be changed or modified over time. Another challenge is the evaluation of the probable places for enforcement of an award and the restrictions which might legally be found. One important factor is the knowledge of the parties to the New York Convention and, to the extent possible, their judicial practices in connection with the application of the Convention. Cross border disputes present many legal issues/debates as to interpretation and application of the relevant law, not to mention the personal, cultural dissimilarities among the participants. Expectations of the neutrals as well as the judicial system vary and can be significantly different from what some may know. In litigation, discovery process, information exchange, litigation protocols etc are very different country to country. Enforcement of settlements can also be an issue in a foreign jurisdiction. The language is one of the biggest concerns, as documents that are not written in Spanish will need to have a certified translation into Spanish . Similarly, translators will be necessary for any witness who does not speak Spanish. This makes the preparation of a case expensive and cumbersome. Thus, using an alternative dispue resolution method in cross border disputes can be more efficient, as the parties can agree the language of the arbitration, the need to translate documents, and appoint arbitrators who speak the different languages involved. What ADR methods are commonly used in your jurisdiction? What are the advantages of arbitration over other types of ADR? In our experience the most typical methods of ADR parties rely upon are arbitration, mediation, expert determination and adjudication. The High Court also offers a process of early neutral evaluation (ENE), but thus far, in our experience, this has not been embraced by parties. In terms of the advantages of arbitration in the context of other ADR mechanisms, a key advantage is likely to be that arbitrators facilitate a process akin to judicial consideration to finalise a dispute. Tribunals are also able to grant interim remedies, and/or the supervision of national courts is welcomed where appropriate, the aim being to ensure all proper protections are afforded to the parties to ensure a dispute is fully and fairly determined. The form of the process also means arbitral awards are respected and far easier to enforce, often internationally. There is also a higher degree of finality in that post-award applications/appeals to the courts are limited. Finally, parties to arbitration are able to select from a number of applicable rules, institutions, procedure and of course forum. Regarding civil and commercial matters, the ADR method commonly used in Spain is Arbitration. Mediation is still in its infancy. Institutional arbitration is very common between companies. According to the Court of Arbitration of the Chamber of Commerce and Industry of Madrid, the number of cases handled has increased from 87 arbitrations in 2006 to 203 arbitrations in 2013; and the value of the dispute ranges from €100,000 to €2,000,100,000. Mediation is not as common as arbitration, since the Spanish Civil and Commercial Mediation Act was not passed until 2012. Regarding insolvency matters, mediation is possible to reach a payment agreement when the debt does not exceed €5,000,000. What are the advantages of arbitration over other types of ADR? The main advantage of arbitration over mediation is finality. An arbitral award is final and res judicata, and may be enforced under the New York Convention 1958. There are very limited grounds for setting aside or vacating an award. Generally, Spain is an arbitration-friendly jurisdiction. Arbitrations can result in a final, binding and enforceable decision achieved on a timetable dictated by the parties. are scarce or practically do not exist, though they are also mentioned in the new law as an ADR. This area requires more regulations. Arbitration, mediation, dispute boards, expert determinations and adjudication are all used when appropriate. Arbitration is a finally-determinative procedure and enables worldwide enforcement pursuant to the New York Convention 1958. Most US states use a combination of mediation and settlement conferences with judges to explore settlement or resolution. Michigan also has a case evaluation system for litigated cases but it is declining in use. Arbitration has the advantage of being able to pick the decision maker whereas a litigated case in the state or federal system is randomly assigned to a sitting judge. In the US, arbitral proceedings are not in the public forum, are generally deemed confidential and set no precedent in terms of legal authority. If the parties each pick a neutral and then the neutrals pick a 3d arbitrator, there is some sense that the party selected arbitrators may be more sympathetic to the appointee’s case however, we often don’t know who selected us. Also, in the US, the party appointed arbitrator is supposed to serve as a neutral not as an advocate for the party who selected him or her. This is not necessarily true in foreign jurisdictions. The process should be faster and more economical notwithstanding paying arbitrator(s) because there is a belief that the discovery and processing time should be more limited than in full court based litigation. The most commonly used method is arbitration. Mediation is starting to be considered by companies as a method to solve their disputes. Mediation is living the situation of arbitration twenty years ago, when arbitration was starting to be used. Nowadays, arbitration is a very well settled method to solve disputes and there are many arbitration experts, which means that parties can easily find good arbitration lawyers and arbitrators in Spain. On the contrary, it is still difficult to find mediation experts for complex commercial disputes, but we believe it is a matter of time that we will have more mediation experts when it becomes more popular. Similarly, companies are starting to discover the advantages other alternatives such as adjudication boards or expert determination proceedings. Such methods tend to be included in dispute clauses that include arbitration. The main advantage is that they allow the continuance of a long project, and that it may avoid arbitration proceedings if both parties are satisfied with the result, but if not, they do not exclude the possibility of arbitration. In any case, the main advantage of arbitration is the value of the final decision, as the award has the same value as a court decision and can be enforced, while the decision of a dispute board or the agreement reached in a mediation, are not enforceable before the courts. What strategies are being employed by the courts and the authorities in your jurisdiction to encourage the use of ADR techniques such as arbitration? Is this having any significant impact on the levels of litigation? ADR is encouraged by the Courts of England &Wales, though most typically mediation. It goes further though, and whilst mediation is not compulsory, nor is it presently ever likely to be, it has been made very clear that in the event a party is found unreasonably to have refused to engage in mediation (or similar ADR process), cost penalties may be applied - even if the party facing the penalty was ultimately successful. In some cases the English Courts have disallowed hundreds of thousands of pounds in costs, both by way of penalty and in order to spread a message encouraging parties to respect ADR. The High Court has also sought to formulate its own non-binding ADR process, Early Neutral Evaluation (ENE), whereby a sitting judge provides a non-binding opinion on the parties’ dispute. As noted previously though, ENE has not really taken off. As to arbitration, this too is supported by the Courts, but more so in its supervisory capacity and through its award of interim relief. In terms of the impact of ADR on levels of litigation, while mediation certainly plays an important role in many cases, litigation and arbitration, it does not presently seem likely in any material way to reduce the levels of disputes being brought. The reality is that it is parties’ attitudes towards participating in lengthy and costly hearings before courts and tribunals that are the main catalysts for change, with mediation being but one possible route for such parties seeking an alternative path. From a legislative point of view, the SAA of 2003 has improved arbitration considerably. The former arbitration law of 1988 was inspired by the UNCITRAL model law but the new law of 2003 was heavily influenced by the Model law. The reform of 2011 achieved further improvements to the current SAA. Among other things, it clarified once and for all that corporate arbitration is valid. The enactment of the Mediation Act is an effort to divulge and make this ADR method popular. It will take some time though for the market to realise that mediation may be an efficient method to sort out disputes. The Voluntary Jurisdiction Law 15/2015, of 2 July, apart from regulating voluntary non-contentious procedures, provides for conciliation rules allowing the parties to attempt reaching a compromise and thus avoiding litigation. Conciliation is not available for (i) lawsuits involving minors or full legal age individuals who are legally incapacitated, (ii) lawsuits involving the Central Government, the Autonomous Communities and other public authorities, corporations or similar types of institutions, (iii) liability claims against judges and (iv) issues which by law may not be subject to settlement and compromise. Further, where litigation is concerned, judges are required to encourage the parties to compromise at the case management meeting. In practice this effort is usually futile, since Courts cannot compel the parties to use ADR. The parties shall state at the case management meeting their decision and the reasons thereof, and if they refuse these options, the proceedings shall continue. 2008 by Royal Decree 231/2008 of 15 February on the Arbitral System for Consumption). According to reports of the General Council of the Judiciary on mediation, the number of civil mediations has increased from 71 in 2012 to 104 mediations in 2015, and the percentage of successful mediations ending with settlement agreements has increased from 21% in 2012 to 46% in 2015. Litigation is by far the most popular way to resolve disputes followed by arbitration (particularly at companies’ level). The impact of mediation is not significant yet but it is in the rise. Mandatory mediation before most civil actions can be listed for Trial. Civil case backlogs have been reduced. Arbitration is not mandatory. Appellate Courts generally enforce and give great deference to Commercial arbitration clauses and arbitral determinations. Non judicial authorities connected with arbitration, such as the Ministry of Justice, do support efforts to promote commercial private arbitration, being involved, amongst others, in the approval of regulations for the centers and similar entities. In connection with commercial arbitration between private entities and the State the new law has greatly reduced the possibility of arbitration for commercial and administrative disputes, acceptable only in very few and exceptional circumstances. This has been one of the most relevant changes when compared with the prior law which had the opposite scope. In respect of the judicial branch an increase interest on arbitration has been seen. For example, as never in the past, judges and magistrates have taken active interest and participation in seminars and conferences on arbitration, both national as well as international. This is also a result of the enactment of the new law. See above. Litigation of engineering/construction disputes has been affected by the popularity of ‘adjudication’ (a swift, ordinarily 28-day procedure, which may end in arbitration if the losing party challenges the adjudicator’s decision). There is a split in views within the judiciary about using arbitration in place of the court. Certainly the parties can contractually agree to argue in arbitration as opposed to the court system. Judges don’t ordinarily suggest a case be sent out of the court to arbitration. Judges do favor mediation and many states require parties to mediate their dispute before they can have their trial. There are approximately 38 other DR processes that I have written about in a Taxonomy with Richard Hurford such as Dispute Resolution Boards (common in large construction cases) and Early Neutral evaluation. We are even experimenting with binding summary jury trials. The Taxonomy is available at the Michigan State Court Administrative Office website. In general, civil and commercial courts have a favorable approach with regards to arbitration, and in particular international arbitration. If the parties have signed an arbitration agreement, and a party files a claim before the courts, if the other party oppose the arbitration clause, the courts will refer the parties to arbitration pursuant to their agreement. With relation to mediation, during the courts proceedings, the courts can also refer the parties to mediation, even if they did not agree on mediation. However, such a referral tend to be limited to family disputes, not to commercial complex disputes. How have practices / attitudes pertaining to your jurisdiction’s dispute resolution law changed in recent years? There has been and continues to be an increasing focus on efficiency, and active case and cost management in civil disputes, in particular in the wake of the report into such matters by Lord Justice Jackson published in December 2009. Court Judges are being seen to take a far more active role in case management, with little patience for unnecessary delay in timetables for trial. Parties are also now required to file and actively to maintain cost budgets throughout court proceedings, and judicial input and approval is required if any element of these costs are to be considered as recoverable at the close of proceedings. Increasingly sanctions are being imposed by the Courts on parties who flout the cost requirements, and in some matters large parts of a party’s costs have been ruled as unrecoverable. A further casualty of the increased scrutiny on the ‘cost of litigation’ has seen a removal of the previous ability for a successful party to recover certain costs from the losing party e.g. any uplift/success fee it might have agreed with lawyers, and any litigation insurance costs. That said, the developments have also opened the way for increased acceptance and prevalence of third party funding models, and this is now a burgeoning albeit still relatively youthful market, presenting the opportunity for potential claimants (and indeed some defendants) to seek to shift risk to counter parties (typically large investment funds) in exchange for a participation right in any financial success expected further down the line. In 2000, effective from 2001, a new procedural law was introduced. Since then the law has influenced practices and behaviours. Notably, the taking of evidence is more flexible now than before. As said elsewhere in this paper, ADR, namely arbitration, is in the rise. It should be noted though that there are mixed feelings in the market with regard to arbitration. Some in-house counsels are not happy with this one single shot method. This uneasiness prompted the well-known arbitration center CIMA to introduce the possibility to appeal an award through their “optional review of the award” if the parties so agree (Article 52 of CIMA Rules). To conclude, the attitude of the market towards litigation and arbitration is ambivalent. Companies tend to choose arbitration in order to resolve commercial disputes notwithstanding the uneasiness of certain in-house counsels. But they do not discard litigation entirely either. It should be noted that ordinary courts offer specialised knowledge for a number of commercial matters and the possibility to appeal, and, finally, their independence and impartiality are a given. ADR being a formal step in most Superior Court Civil proceedings has increased awareness and acceptance by lawyers and the public. ADR Educational courses are now offered in law schools and privately. Lawyers Rules of Professional Conduct address ADR. The most significant changes came about from the 1996 Arbitration Act (which minimised court interference), and the 1996 Construction Act (which introduced fast-track 28-day adjudication). The landscape in Michigan in particular has changed in the last 5 years as mediation becomes more a norm in the litigation process. Arbitration is becoming more complex, looks more like traditional litigation and is becoming expensive. This is a trend throughout the US as best I can discern and is certainly what I am experiencing on a nationwide scale in my practice. eDiscovery is a huge area of contention in the courts as well as in arbitration. In 2003 a new arbitration act was adopted. This represented a huge change in the attitude of judges in relation to arbitration. Since then, courts have a friendly attitude for arbitration. Although there have recently been some annulled awards, these annulments concern domestic financial cases and consumer protection, and this does not affect international arbitration cases among companies. Indeed, in general courts are restrictive in admitting requests for the annulment of award or in refusing the enforcement of foreign awards. Are there any new or pending pieces of legislation that might affect dispute resolution during the coming 12 months? While it risks overuse, uncertainty introduced by the June Brexit 2016 vote merits mention. Concerns have been raised about the ongoing attractiveness of English law and jurisdiction for international dispute resolution once we leave the EU. It is though hard to see why it should necessarily have any impact on sophisticated parties’ views, certainly in the kinds of commercial matters we often deal with. Indeed, some commentators believe that European measures we presently benefit from e.g. service of proceedings abroad, and determination of jurisdictional issues and enforcement, likely can be dealt with fairly sensibly - either under common law regimes or with a sensible approach to adoption and adaptation of other measures. That said, it is still unlikely to be straightforward, and in some areas e.g. employment and competition, there almost certainly will be swathes of legislation and procedure impacted. As to Arbitration, given its international outlook and very real alternative to court litigation, it would seem unlikely this will be materially impacted. Nevertheless, we can expect an inevitable period of uncertainty. Another area of potential change is the UK government’s current push to expand “failure to prevent” offences that could result in senior corporate executives being prosecuted for offences carried out by staff e.g. fraud and money laundering. Currently the offences only cover bribery and tax evasion. If pursued to fruition such measures may substantially increase the level and number of matters we are already seeing in our White Collar practice and clients facing SFO/DoJ and FCA/SEC investigations. Not at the time of writing these lines. There are ongoing efforts to increase the scope of practice permitted by paralegals licensed by the Law Society of Upper Canada to provide certain legal services. Michigan is toying with mandatory mediation in litigated cases. Whether this would come in the form of a statute or a court rule is unknown. Many of us are opposed to the concept so it is still in the works. No. There are not expected changes related to arbitration and/or mediation. Our business publications reach hundreds of thousands of business leaders and decision makers in the finance and advisery communities worldwide. Since 2005 Corporate INTL has been leading the way connecting business leaders, financiers and advisers around the world. Our Find an Expert adviser directory is the number one tool for business leaders, investors and in-house counsel to assist them in finding a proven and recommended adviser in a huge variety of practice area specialisms and countries around the world. If you wish to join the Corporate INTL mailing list to receive newsletters and bulletins surrounding our products, key news, events and relevant stories related to global business, please click the link below and fill out the form provided.